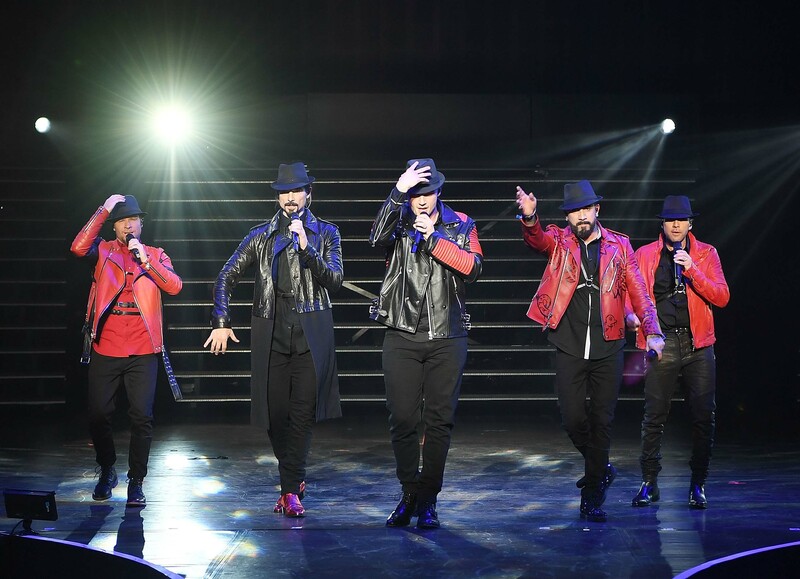 Las Vegas (March 2, 2017) – Backstreet’s back, alright! Last night, the best-selling boy band of all time, Backstreet Boys, proved to be “Larger Than Life” at their premiere performance of the appropriately-titled “Backstreet Boys: Larger Than Life.” Marking the beginning of their exclusive Las Vegas headlining residency at The AXIS at Planet Hollywood Resort & Casino, the pop juggernaut unveiled their show to a sold-out crowd and multiple standing ovations. General ticket prices begin at $55, plus applicable tax and fees, and VIP packages and Meet & Greets are also available. Due to extraordinary demand for tickets, new balcony seats have been added for Saturday performances in March and are now on sale. 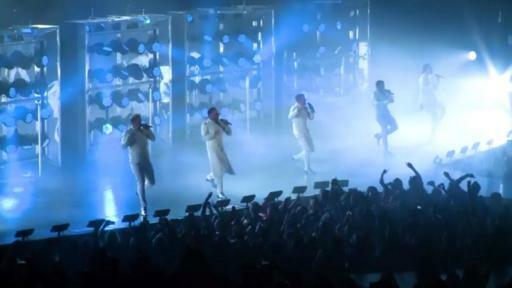 All shows begin at 9 p.m. For more information on the show and Meet & Greets, visit backstreetboys.com. Tickets and VIP Packages are on sale at Ticketmaster.com/backstreetboys. BSB is currently recording their new album, and their recent collaboration with Florida Georgia Line “God, Your Mama, And Me” - the third single from FGL’s third #1 album DIG YOUR ROOTS - is currently climbing the radio charts. 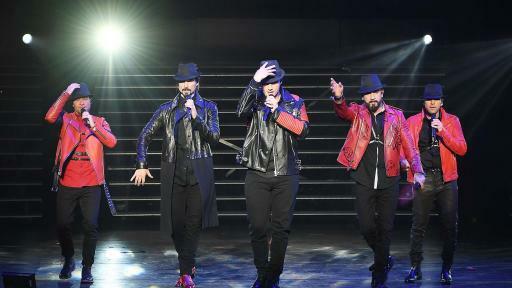 For more information, please visit www.backstreetboys.com. Live Nation Entertainment (NYSE: LYV) is the world’s leading live entertainment company comprised of global market leaders: Ticketmaster, Live Nation & House of Blues Concerts, LN Media and Artist Nation Management. Live Nation Las Vegas produces residency shows from Britney Spears, Jennifer Lopez, Lionel Richie, Backstreet Boys and Pitbull at The AXIS at Planet Hollywood Resort & Casino; Bruno Mars and Ricky Martin at the Park Theater at Monte Carlo; and Steely Dan at The Venetian Las Vegas. Live Nation Las Vegas also brings other world-famous artists to many of the city’s other premier concert venues including T-Mobile Arena, Mandalay Bay Events Center, MGM Grand Garden Arena, Las Vegas Village, Pearl Concert Theater at the Palms, House of Blues, The Foundry at SLS Las Vegas, Downtown Las Vegas Events Center, The Joint at Hard Rock Hotel & Casino Las Vegas, and more. For additional information, visit www.livenation.com. Find Live Nation Las Vegas on Facebook, Instagram and follow us on Twitter. Planet Hollywood Resort & Casino is the centerpiece of the famed Las Vegas Strip, with 2,500 beautifully designed guest rooms and suites showcasing some of the best views in town, along with endless options of unparalleled shopping, distinguished dining, popular entertainment and a bustling nightlife. A bright, bold addition to the resort’s portfolio, the new Ultra Hip Rooms feature contemporary elegance and luxury bedding. Planet Hollywood encompasses more than 100,000 square-feet of gaming, several lounges, ten restaurants including Gordon Ramsay BurGR, KOI, Strip House, the award-winning Spice Market Buffet and LA’s Pink’s Hot Dogs, an intimate wedding chapel and the Planet Hollywood Spa by Mandara. 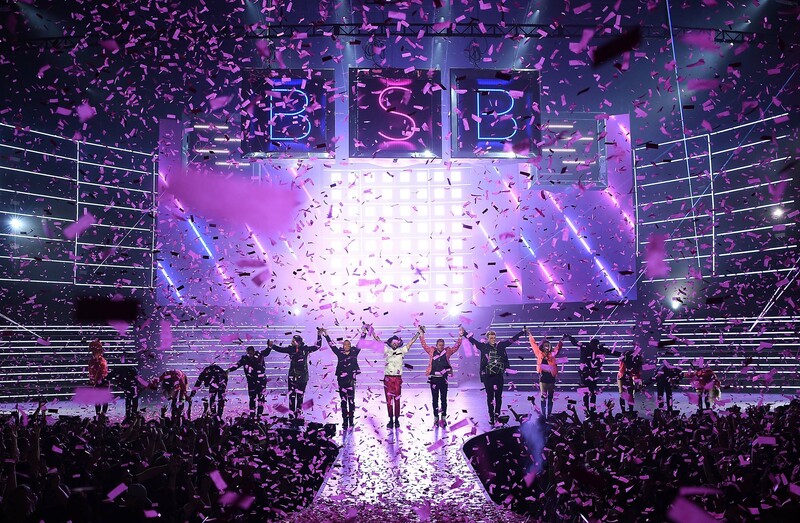 Home to the first pop music residency in Las Vegas, The AXIS showcases resident headliners Britney Spears, Jennifer Lopez, Pitbull and the Backstreet Boys. The property is encircled by Miracle Mile Shops with more than 170 specialty stores and restaurants. For more information, please visit planethollywoodresort.com. Find Planet Hollywood Resort & Casino on Facebook and follow on Twitter and Instagram.